Sridevi’s daughters have not only taken after her charm, but also her stylish dress sense. Jhanvi and Jhushi Kapoor were spotted at the airport on September 19, 2017 morning while returning from their little trip to Dubai. Jhanvi, the soon-to-be-debutante in B-town looked nothing short of stunning in a dark blue striped shaper dress by designer Isabel Marant. Her fashion styling was on point as she teamed her designer outfit with a pair of white sneakers and walked in style at the airport with her sister Khushi who sizzled in a soft pink dress paired with black shoes and her wavy locks left open. The sisters were seen holding hands while making their way out of the airport. Going by the latest reports, Jhanvi might star in Karan Johar’s remake of Marathi film, Sairat opposite Ishaan Khatter, Shahid Kapoor’s brother. The star-in-the-making Jhanvi has since been spotted with Ishaan over lunch and movie screenings together. Exclusive pics of Sridevi daughters at the airport on September 19, 2017! 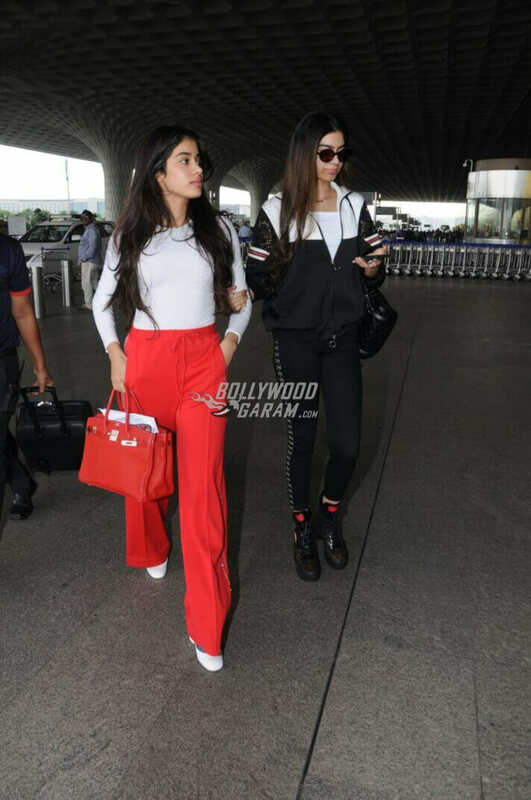 Both the sisters had been snapped on September 17, 2017 as well at the airport and as they walked towards the airport entrance right out of the car, the style divas looked all set to glamorize the scene. 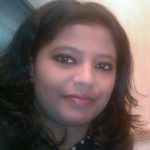 Jhanvi was wearing a full-sleeved white bodysuit with red wide-legged pants and white pumps and carrying a red bag while Khushi sported the casual style with panache. A white tee, black jacket, black denims, black shoes and a black handbag made quite a style splash for Khushi while the sisters were on their travel schedule. Jhanvi apart from her airport appearances has also been spotted making a style statement at events, Bollywood parties and even her social media accounts, where there is no dearth for followers who praise her beauty, charm and style. One other place she is frequently spotted at is a dance rehearsal hall at Bandra where she dons the Indian ethnic wear effortlessly. Some more exclusive photos of Sridevi daughters on September 17, 2017 at the airport!